Incredible visibility and steering, unbeatable stability, power and productivity – bearing the environment in mind and with minimum surface pressure. 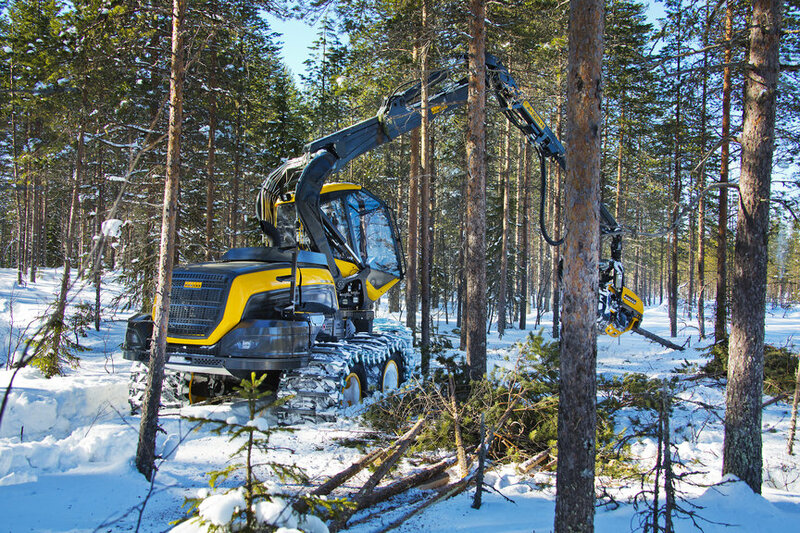 The new PONSSE Scorpion raises productivity and ergonomics in harvesting to a whole new level and sets the future standard for the driver’s working environment. In the PONSSE Scorpion, the focus is truly on the driver. The eight-wheeled Scorpion offers the best possible setting for efficient and productive work. The unique new crane solution offers excellent visibility in all directions, enabling smooth, flexible working whatever the conditions. Good visibility on both sides of the cabin allows for efficient and unlimited operation – the trees to be felled, felling direction and position of piles can be selected freely, keeping efficiency and eco-friendliness in mind. As the cabin is located in the middle of the machine, the driver can easily see to the extremes of even dense thinning routes. Moreover, the driver is positioned in the middle of the cabin’s turning circle: when the cabin turns, the driver does not feel like he is on a carousel. This has a significant effect on comfort and well-being at work. Cabin levelling keeps the driver stable, even in difficult terrain. The frame of the machine consists of three parts linked by rotating joints. The cabin is located in the middle frame, which is kept hydraulically levelled, while the front and rear frames tilt according to the terrain. As a result, the pivoting point is as low as possible, not only minimising tilting, but also helping to prevent the driver from swaying sideways. 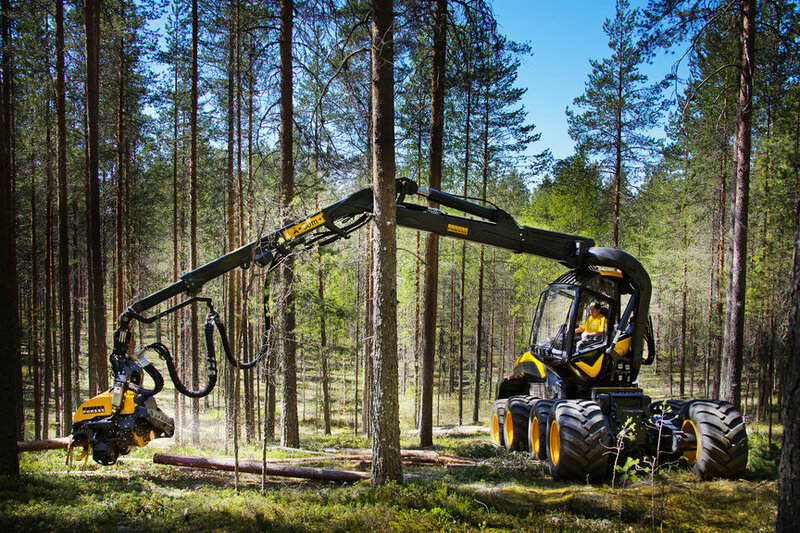 The incredible stability of the PONSSE Scorpion comes from its eight wheels and active stabilisation system. The unique stabilisation system is based on detecting the direction and position of the crane, and then pressing the rear frame in the direction of work. Pressing the rear wheels against the ground and the weight of the rear frame improve the machine’s stability significantly when working on one side – including when the machine is moving. 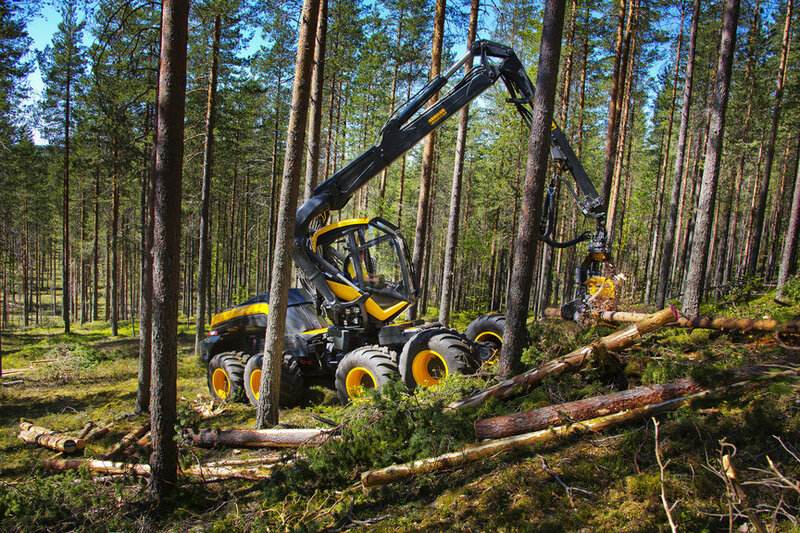 In addition to cabin levelling, stability helps to offer ergonomic working conditions for the driver.